Henningson, Durham & Richardson of Omaha were the architects for the $14.6 million center, which has an auditorium seating almost 2,000 for musical, dance and theatrical performances, lectures and symposia; the Pavilion, a flexible space with seating for 200; rehearsal and dance studios; ticket office; and administrative and educational offices. A $300,000 project completed in March 2011 added the Kemper Foyer of 1,800 square feet, expanding the lobby and reception and meeting spaces. The William T. Kemper Foundation financed the addition. The Bales Organ Recital Hall, dedicated in October 1996, adjoins the center on the northwest and shares a lobby. 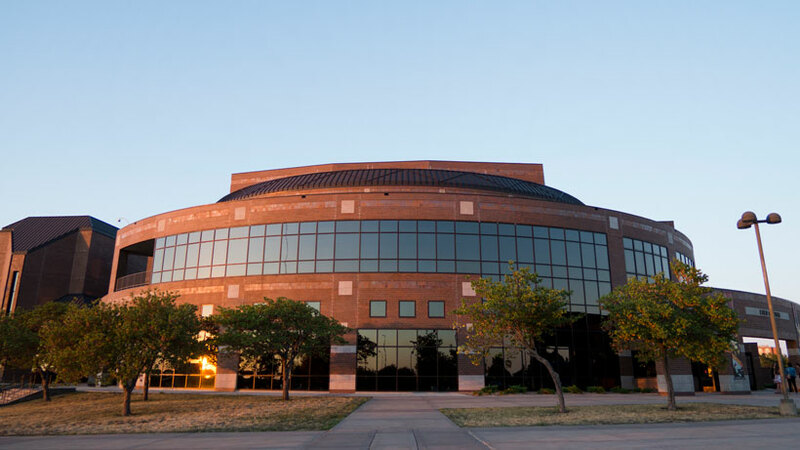 The $1.5 million hall was built with gifts from Dane Bales, 1941 business alumni, and Polly Roth Bales, 1942 music graduate, and from the Hansen Foundation of Logan, Kan. 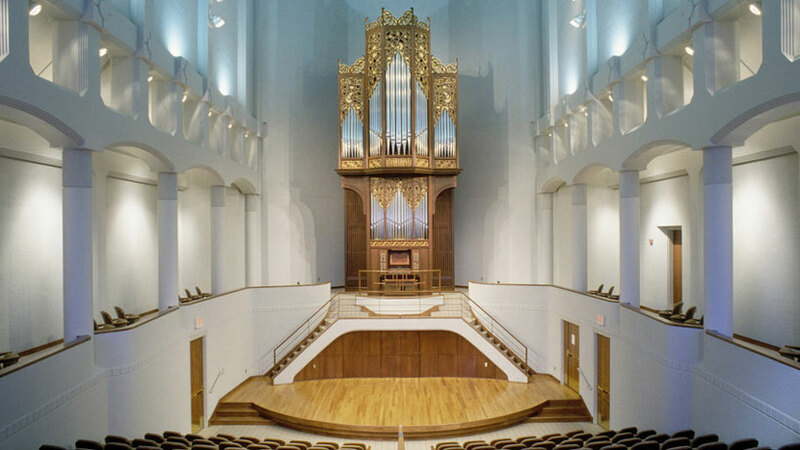 It was specially designed by Horst Terrell & Karst Architects of Topeka for its 35-foot organ, a Hellmuth Wolff, opus 40, three-manual instrument built by Wolff & Associés Ltée. of Laval, Quebec. It has a 72-foot ceiling and walls 2 feet thick; the stained-glass windows were designed by Peter G. Thompson, dean of fine arts. 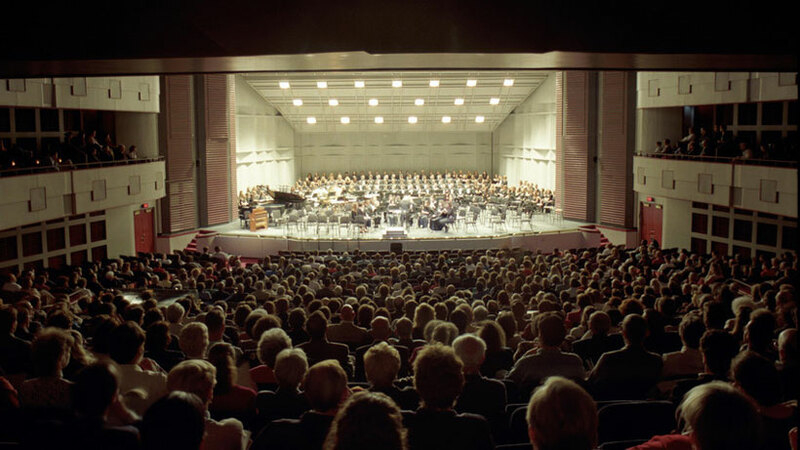 The hall seats 200.